Young director Vysakh has created a style for himself in Mollywood with movies heavily loaded with wholesome masala ingredients like well picturised songs, impressive action sequences and movies with full of twists laced in humour. Continuing with his patterns of film making is his latest 'Mallu Singh' - the very first Malayalam movie to be extensively shot at Punjab. With plenty of nice visuals, hummable songs and fast takings, and plenty of stars sharing the screen 'Mallu Singh' qualifies as a vacation entertainer. The movie is all about the travels of Ani (Kunchakko Boban), in search of his childhood friend and cousin Hari, (Unni Mukundan) who was forced to move out of their village seven years ago due to certain peculiar circumstances and a murder. Ani is now badly in need to find Hari, as their entire properly and household will soon get into the hands of some of their wicked and scheming relatives within a few months, following a court order. Ani finds to his surprise, a young Sikh with a similar face in a Malayalam TV programme 'Walk with Zubeida' where the lead anchor was trying to present the Mallu Street nearing Patiala, housing much of Malayalam speaking Punjabi's. Ani now immediately set forward on a journey to the place, carrying with him the prayers of his sister Ashwathy,(Samvrutha Sunil) who is also eagerly in the waiting for her cousin to return. But on reaching "Mallustreet' which even house a Malayalam school and almost every one communicating in the language, Ani finds to his surprise that his Hari is Harinder Singh here, who is much different from the person whom he know. But Ani follows his instincts, befriend Pappan(Manoj K Jayan) and Karthi(Biju Menon), and find ways to crack the situation. And how he does it forms the rest of the plot told in a humorous way. The story by Sethu is interesting but the dialogues and attempts on humour are pretty ordinary. The film, though logic less, entertains throughout its first half and then slightly starts dipping post its intermission. Though the theme was all predictable from the very first shot and had nothing in store to shock the viewers, it never disappoints completely and maintains a good entertaining momentum right till its climax. Suraj Venjaaramoodu and Biju menon manages to convert some of their attempts into chuckles, but Kunchakko Boban's try on comedies appear not that genuine. But the director in Vysakh had strictly followed his high production standards and included all the colour and splendour of the state, wisely integrated into his narratives. 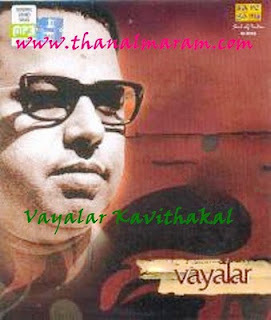 And so are the songs by M Jayachandran which works well and good with fine tempo and melody. Still, somehow with a depletion of the continuous entertaining value and with an overdose of everything, some viewers may not not be satisfied with the total outcome.But for the lovers of mass- masala entertainers, the movie provides with everything they demand of one. The biggest highlight of the movie is undoubtedly Unni Mukundan, the young star playing the title character of 'Mallu Singh'. He excels in action sequences and appears lovable in both the avatar. The movie will be definitely an important one in the landing of this new star, who is likely to be in the forefront in the coming years too. The others including Kunchakko Boban, Manoj K Jayan and Biju Menon are in their regular roles, which they do with high energy. The lead ladies except Samvrutha Sunil are reduced to miniscule roles. The technical sides are also fine with Shaji capturing the best of Punjab. The BG scores by Gopi Sundar are appealing, though at some points they appear loud. If you can withstand it overused plot and execution, 'Mallu Singh' is definitely a clean entertainer which can provide you with an entertaining watch. The vacation time will prove a boon to the film, which promises unlimited fun in its posters. ‎"mallusingh"... adipoly...!unni mukundan,kunjan ko,bijumenon,ma noj k. Jayan..ellam kidu..
‎" good movie .i saw it yesterday .chakochan super nd unni proves he is rising star"
Kalakkan padam unni mukundhan kalakki . songs super. specilly chancham chancham nee paadaatha. avide nadakkunna sambhavangalum okke aanu chitrathinte highlight..
Mattu kadhapathrangal ellavarum avarude roles bhangiyakki thanne cheythu. BIG DISAPPOINTMENT.... after a hilarious movie like seniors am expecting lot from this team, the script look like 10yrs old, comedy dosent work really fell like torture, biju menon&manoj k jayan don't have any plot to perfom, action scenes like tamil b grade Masala movie, the main Point is If an actor plays the Tittle role of the film he should able to perfom like that in that case Unnimukundan is abig disappiontment, no expression on his face, only apt for fight, its pity after getting this type of big opportunity he could'nt perfom. +ves--- Punjab locations, Songs, Kunjako bobban. super padam.chackochan adhyam thottu avasanam vare super aaki.unni nirashapeduthi fight mathrame ullu.expressions illa.a gd watchable family entertainer.